An Automotive Design Engineer with 40 years of auto restoration experience, Rodney Butterfield rebuilt his first sports car, an MG TC at the age of fifteen, and went on to work for Formula 1 teams such as McLaren, UOP Shadow, March and Surtees, as a fabricator and race mechanic. After gaining his Degree in Automotive Design from Loughborough University, in 1977, he formed Thoroughbred Sports Cars Ltd in Oxfordshire, to pursue his passion for the preservation of great sports band racing cars. Thoroughbred Sports Cars Ltd became over 20 years, one of the largest restoration, race preparation and sales companies in Europe, boasting a 100 car showroom, and 15 restoration staff. After selling the UK premises for re-development in 1990, Rodney moved to the USA and continues his passion for preservation and enjoyment of great automobiles with the Blue Ridge Sports Cars Inc Restoration shops in North Carolina and Sports Cars (California) Inc Sales Galleries in California. His enthusiasm took him to Britain in 1972, where he commenced a career in Formula One, working initially as a fabricator at McLaren Racing. In 1973 McLaren won the F1 World Championship with the M23’s and built the M16 Indy Car that won the 500 in 1974 for Johnny Rutherford. Amusingly with hindsight, there were only 22 on staff!! Having developed an ambition to design racing cars, he moved on to attend Loughborough University where he obtained a prestigious Degree in Automotiove Design and Engineering. 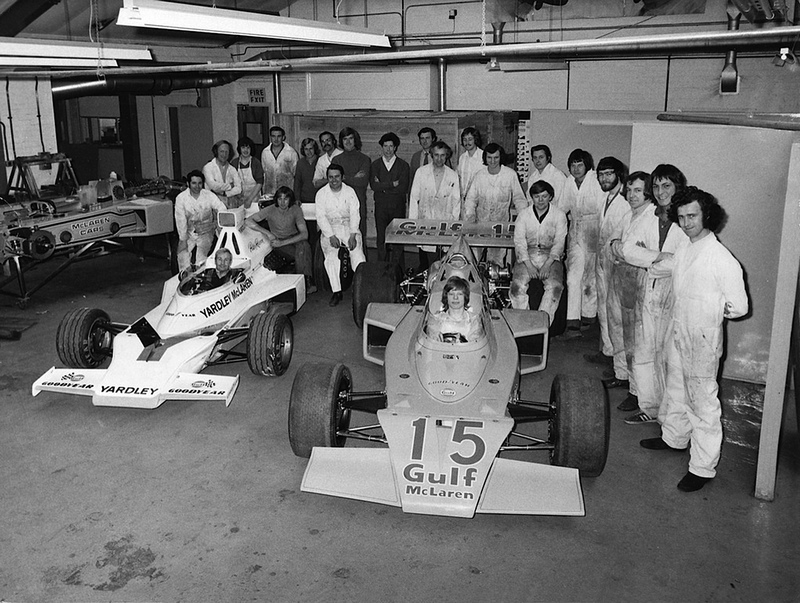 Through the 1970’s he earned his living working for various F1 teams, including UOP Shadow, March, and Surtees, travelling as a race mechanic for the latter two teams. His last race in F1 was at the now famous first Japanese GP in 1976, where the movie Rush had its climax! In 1978 Rodney opened his own Auto Restoration Engineering business in the Cotswolds just West of Oxford to pioneer first class professional restoration of Vintage Sports & Racing cars. 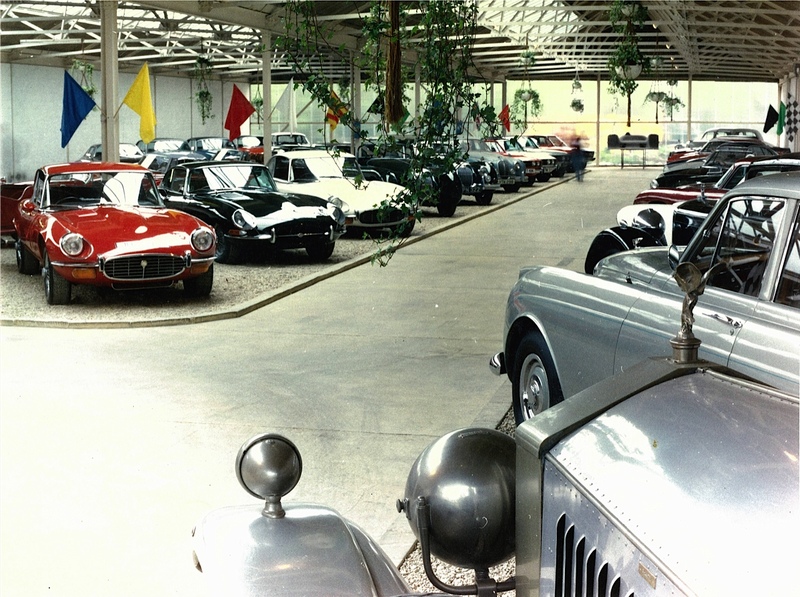 At its peak in the 1980’s Thoroughbred Sports Cars Ltd had 15 Employees and operated a 100 car showroom beside the restorataion facility, to offer collectors one of the first complete in house service facilities in the industry. After selling the Oxfordshire industrial buildings in 1990, Rodney set out on a new adventure to the USA, where he currently owns and operates a wonderful 25,000 sq.ft. state-of-the-art restoration facility in the beautiful foothills of the Blue Ridge Mountains, near Asheville NC (See the Restoration Tab) He currently owns a collection of 15 vintage race cars, ranging from a Can Am Shadow to a Supercharged MG TC. Recently Rodney sought to open a West Coast Gallery from which to meet and consult with serious collectors, and welcomes you to visit our Vintage Auto Sales Gallery (See Sports Cars California Inc Tab) in Monterey, CA.